The Bearcats roller coaster continues. As it typically does, it ended in victory. 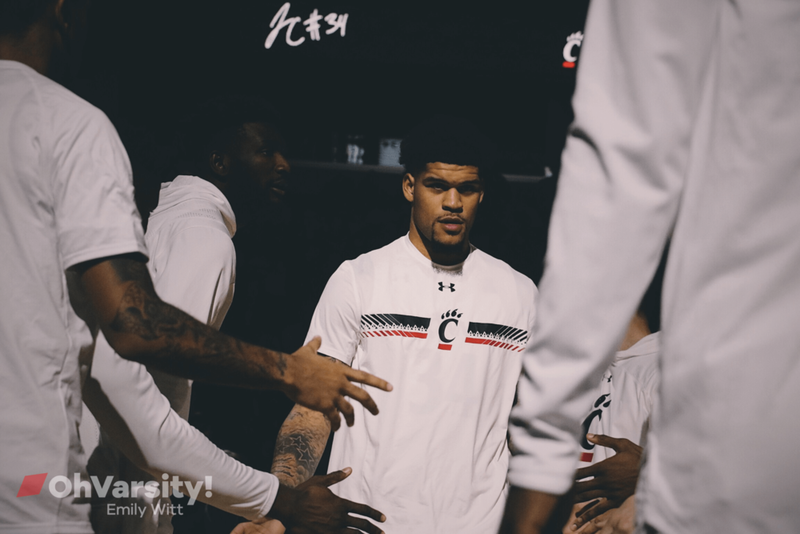 Cincinnati gutted out an 82-74 win against a blossoming South Florida team by riding a career-best 34 points from Jarron Cumberland. It’s hard to pin this team down. Their last three games have featured them absolutely scratching and clawing to get past the kinds of teams they should be beating fairly easily. Two of them were even played at home. On the other hand, this is a group still learning how to play without three stars, battling through the stomach flu, and fending off absolute haymakers from conference opponents desperate for revenge against the team that’s dominated this conference recently. Questions remain unanswered, but I have to give this team credit for their fight. USF’s scouting report said they get to the line a ton but don’t make their free-throw shots. The former proved to be true. The latter… not so much. The Bulls’ 60.9% free throw rate entering the game didn’t seem to matter as they shot 22-for-26 (84.6%) from the line Tuesday. Toss in an impressive 27 rebounds, some timely threes, and a Mick Cronin ejection and the Bearcats got all they could handle. Cumberland, whose 34 points were the most by a Bearcat since Troy Caupain’s 37 in the 4OT tragedy against UConn in 2016, took up the scoring mantle. It was Eliel Nsoseme, however, that provided perhaps the biggest spark. His two points, four blocks, two rebounds, and two steals may not jump off the page, but it’s important to note they came entirely in a short stretch in the first half. It was a dazzling defensive display that may just earn him more playing time. I’ve said it before, but defensive firepower off the bench is something you don’t see often. Nsoseme has seemed to have it a lot this year. When the team’s success is largely based around one offensive contributor, the little things matter a lot. Cincinnati did a bunch of the little things well on Tuesday, namely forcing 27 turnovers and shooting 29-for-32 from the line. The last time the Bearcats shot 90% on more than 20 free throw attempts was a 2012 game against Iowa State. In that one, they were “only” 23-for-25, which makes the performance against USF the best free throw display by a Bearcat team since the start of the 2010-11 season. The league is deeper than it’s ever been, boasting just two sub-150 KenPom teams for the first time in its history. There won’t be many free wins for a Bearcats team that could probably use them. Another big test looms on Saturday in Wichita. You gotta figure that the day-in-day-out battling will make this team better though. They can use all the help they can get this year. My heart might disagree. Mick Cronin got ejected arguing a questionable call with 18 minutes remaining in the second half. His team, on a run at the time, immediately deflated, squandering away its 11-point lead. The fact that they were able to find their footing and ultimately control the game down the home stretch is encouraging. The Bearcats had all five starters in double figures but got just five points on two field goals from their bench. Nsoseme had four blocks and Cane Broome had five assists, however. USF is suddenly the team we’ve been begging them to be. I don’t think it’s fair to demand continuous tournament trips out of this team, but they entered Tuesday 12-4 and—much like UConn Saturday—looked much, much feistier than we’re used to. LaQuincy Rideau’s 26 points, three rebounds, four assists, and two steals are impressive for an opponent at The Shoe. The cage matches will continue, it seems. Saturday’s contest at Wichita looks like it’ll be a battle. Bring your barf bags.